Travel agencies have all different types of styles. For example, some of them cater to mainly professional sports teams and large corporations that don’t have the time to book all the traveling that’s going on. Others are more focused on building long, expensive trips for smaller groups, where the people are going on obscure adventures, like safaris in Africa. Regardless of the type of travel agency, you need a website to get the word out about your company. Most agencies need to post information about the types of services offered, while some of them have booking or reservation pages. Some agency websites even have databases of travel packets that people can download to complete their own research. 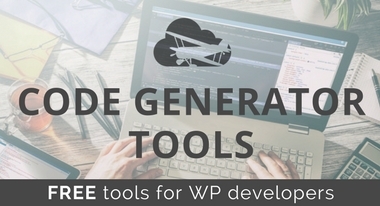 Overall, travel agency sites vary from business to business, but with the help of a WordPress theme, you can manage customers, collect payments, show off cool places you book for and build communities with the wide variety of blogging and forum tools. What To Look For In a Tourism Theme? 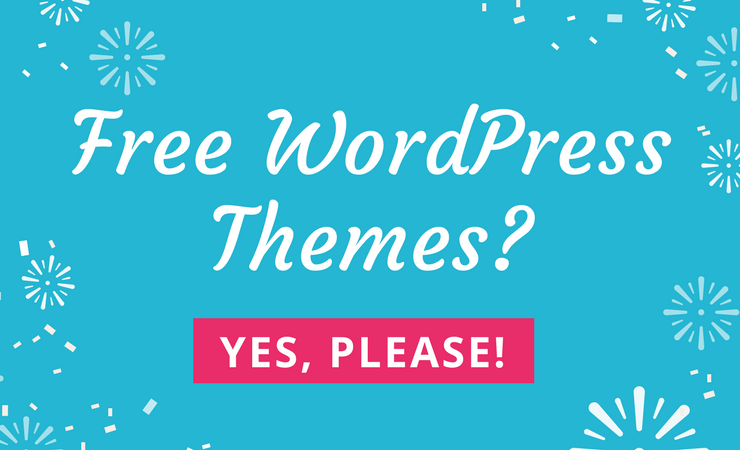 As with most WordPress themes nowadays, all of the options listed below are going to be responsive, allowing people to use them on mobile devices. 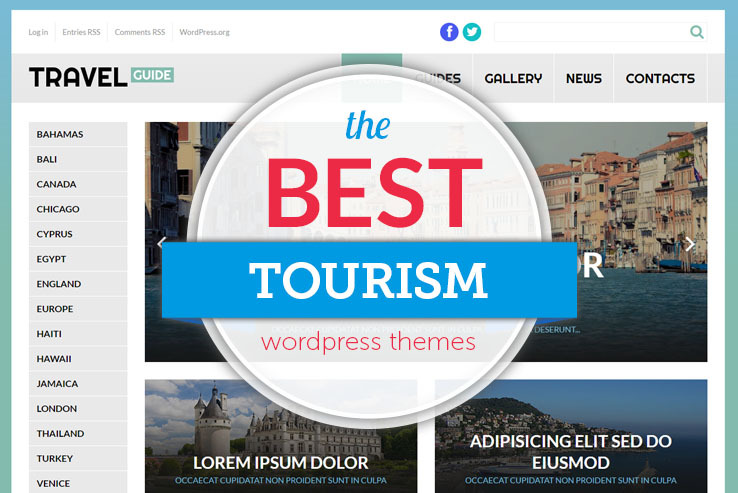 In addition, we’ve compiled a solid list of tourism WordPress themes that are built by wonderful developers. This means that you’ll have access to great support teams, and the people you work with also provide knowledge bases and documentation for figuring out problems on your own. Considering so many tourism themes are littered throughout the internet, we understand that making your choice can be a little tricky. That’s why we’ve only focused on themes with quality coding and really nice designs. This way, you don’t have to worry about problems down the road, and your website will remain modern for a considerable amount of time into the future. So, without further ado, we present to you the best tourism themes for travel agents and agencies. 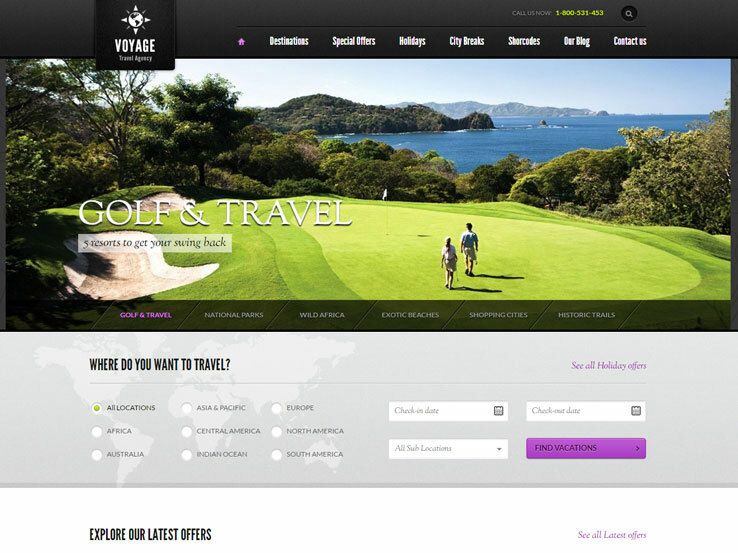 The Voyage WordPress theme handles a wide variety of tasks for travel agencies. One of those tasks is the ability to reach out to people on mobile devices. Since travelers are bound to be on their phones and tablets while on the go, it makes sense to have a solid website that supports these devices. 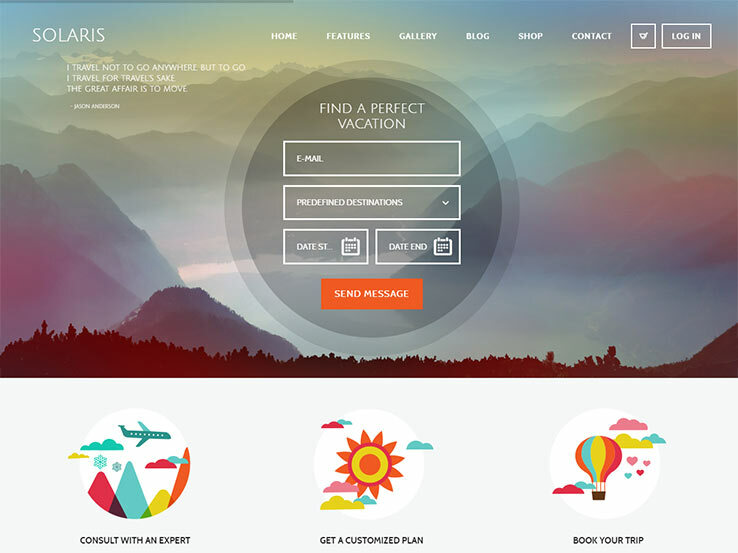 Voyage comes from the folks at ThemeFuse and it’s built primarily for travel agencies. Several travel features are packaged into the theme. Users can come to your site and book reservations and specify exactly when they would like to travel. They can also explain where they want to go in the world, giving you a jump on planning their trips. Attractions and maps are highlighted on the template, along with an area for customization and localization. We like this because you may focus your business on particular parts of the world. If you only cater to travel in the United States, you have maps for people to browse through and information on the attractions that span the country. Filters are included so your visitors can easily locate the proper price ranges and locations. They can peruse on their own time and give you a call whenever they are ready to book. A beautiful slider is included with the Voyage WordPress theme, meaning that you can upload high-resolution images of spots that people are likely to travel to. This is a great way to get the juices flowing for people brainstorming on where to go and it inspires folks to make the decision where to travel next. Several layouts come along with the Voyage theme, boosting your chances of keeping people interested and showing that you stand out from the competition. One thing to keep in mind is that a mega menu is available for your use as well. This may not seem like something that important to begin with, but many travel agents are utilizing mega menus when they have lots of pages on their websites. All of your contact information sits towards the top of the page and a logo resides on the left-hand side of the header. Your latest offers and deals are organized with beautiful widgets, while an email signup form is there for collecting emails and sending out newsletters. Finally, several social media buttons ensure that customers are constantly aware of your updates, as long as you share blog posts and promotions to places like Facebook and Twitter. As with most of the themes on this list, the LOVETravel solution is fully responsive for people to view on smaller devices. The theme has several features for running your agency, such as the Revolution Slider plugin. This is one of the best slider plugins on the market and it provides several tools for overlaying text and buttons. Create your own calls to action and upload large images that feature some of the coolest places you send your clients to. The theme connects to PayPal if you plan on collecting payments online and people can go through the filters to book their own trips and see which of the options are available for reasonable prices. The WooCommerce integration opens up options for booking and you can sell items related to travel or even post tickets when people are ready to buy. The multilingual nature of the LOVETravel theme means that anyone who speaks a different language can understand what is being posted on your site. Choose from a wide variety of demos and place a map on your website to help your visitors select their travel destination. The interesting thing about travel is that some people don’t even know where they want to go when talking to a travel agent. Therefore, it’s nice to have a map to make their choice easier. The booking system collects information from the clients and it delivers information about each trip. When someone wants to make a booking they can make a payment and download all the information they need to know for the trip. Feature all of your destinations with thumbnail images and links and send them to blog posts with further information. Galleries and tours are possible through the LOVETravel theme, improving the visual aspects of your site and getting people excited about traveling to certain destinations. A large parallax section adds beautiful animations to your website and the Revolution Slider is the best in the business. A clear shortcode list is displayed on the backend, keeping your hands out of the source code and speeding up the design process. 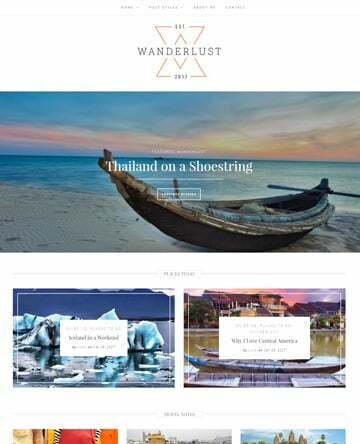 Along with a countdown timer, fancy images, and a mega menu, the LOVETravel WordPress theme is one of the best choices for all types of travel agents. Consider the KodeTravel WordPress theme if you’re interested in making a site that highlights travel tours. 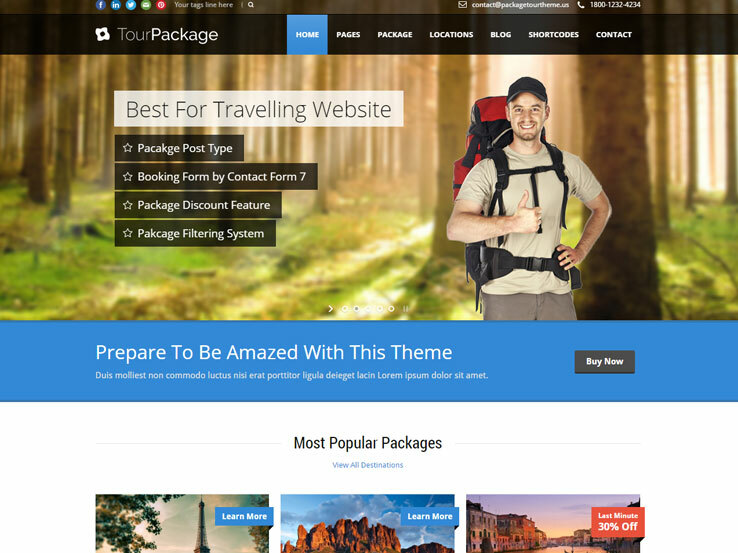 This theme is more geared for companies that cater to groups of people who want to relax and enjoy their trip and leave all the planning to you. 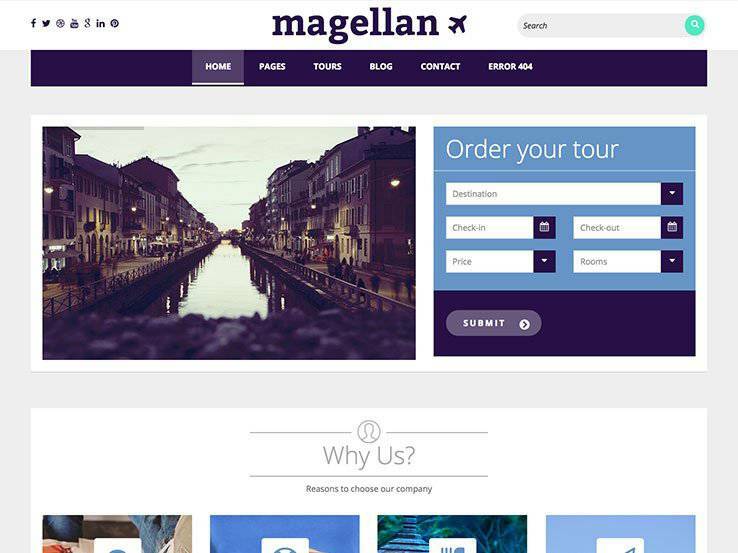 Since tours include several places, you’re going to need a powerful theme with support for lots of page templates. The KodeTravel theme does the trick, considering it provides a tour management section on the backend and frontend. You post the details for each of the tours and clients scroll through to figure out which of the trips they would like to take. Feature your touring agents and enjoy the responsive design which enables viewing on just about all devices. Multiple blog styles are included with the KodeTravel theme, meaning that you don’t have to stick with the same old style when writing your blog posts. 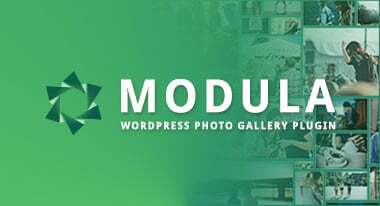 You also gain access to multiple gallery styles, which is becoming more and more important for agencies and agents. Quite a few demos come with the KodeTravel theme, allowing you to create a full map version of your website or a setup with the Revolution Slider. 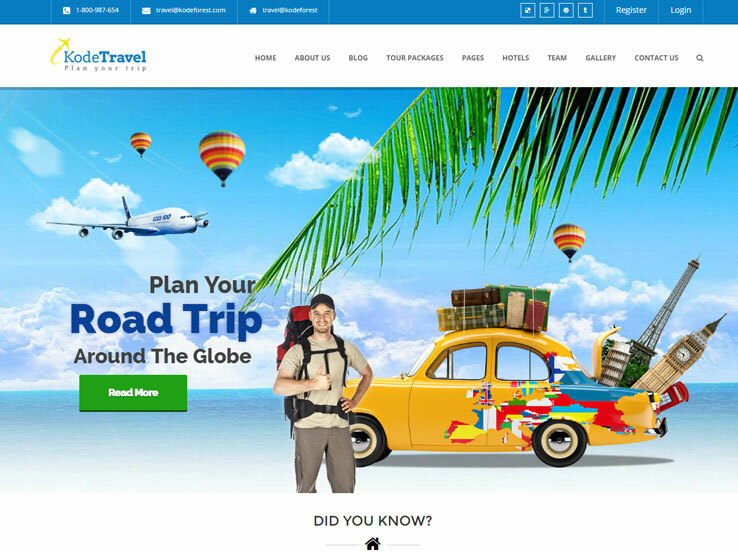 The standard travel version includes contact information towards the top of your website and the social media buttons are branded to match the theme. An FAQ section shows customers questions that may resolve the problems they’re having, while the beautiful gallery mode presents all of the travel packages you put together for your customers. This can include pricing, imagery, additional information, and links for people to book. Much of the homepage is managed using widgets. One of the widgets is there for showing off videos from the many travel destinations you are bound to have on your site. Another one has little tabs for people to book different hotels, planes, and cars. Although social media buttons are packaged into the theme, our favorite part is the area that asks how many people and days the trip is going to be for. It really expedites the process and makes it a little easier for both you and the client. 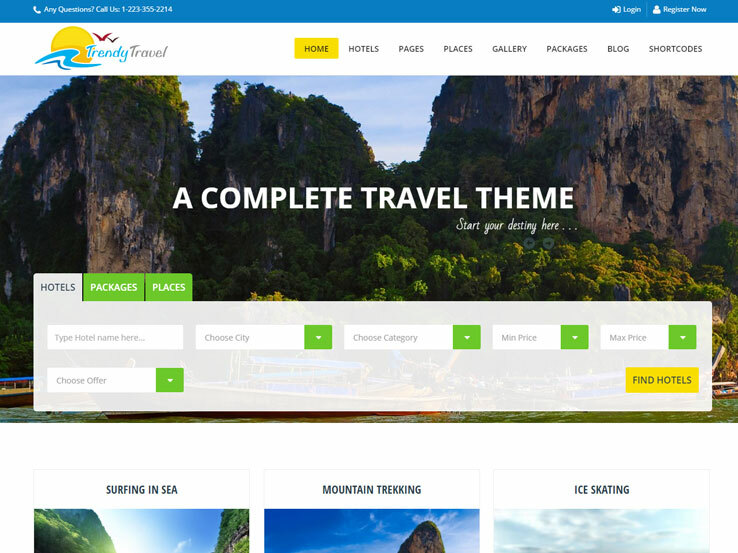 Overall, it’s a quality travel theme, so give it a try for your business. 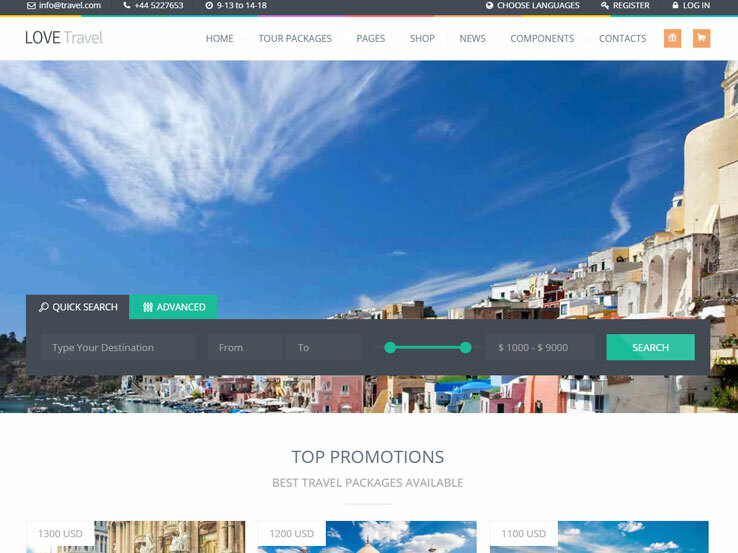 The Tour Package theme lives up to its name with features perfect for travel agents. It comes with a post type specifically designed for the different tours and packages you offer which can also be filtered by date, price, or location. An area on the homepage for your Most Popular Packages is great for customers looking for suggestions. Booking with your company will be simple with the booking form from Contact form 7 and PayPal gateway for easy payments. Colorful discount coupons in the footer will catch the eye and give an extra incentive to use your services. Your site will be as incredible as the places your customers go with unlimited color options, more than 500 Google fonts, and 3 blog styles. Flex, Nivo, and Layer sliders are all available to show off your gallery of retina ready quality photos of all the destinations you have to choose from. This theme also comes with a built-in translator and is localization ready to keep your site accessible to a multi-national audience. 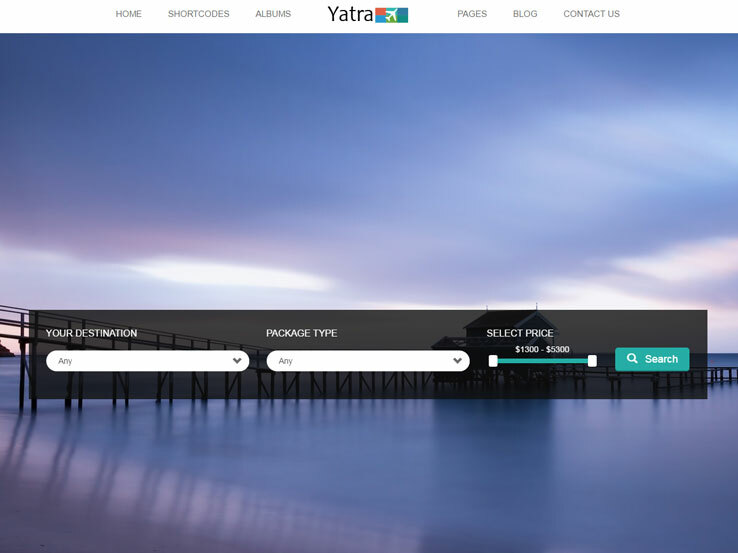 The possibilities are endless with Yatra, built on the Bootstrap platform for the highest quality. A total of 648 great layout combinations exist thanks to an array of choices including 3 homepages, 3 album layouts, and 2 blog layouts. Whether you’re a small company catering to a niche market or a major company offering hundreds of packages, this theme will meet your needs. You can add as many bundles as you want and sort them by geographic area or travel type. A sleek slider on the homepage can be used to feature your current deals and customers can easily book their trip from the website with an uncluttered form and PayPal. Setting up your site will be as easy as using it with tons of shortcodes, Google fonts, and a background uploader. The unlimited color options, multiple photo albums, and four slider types will also ensure that your site is stylish, showing customers the luxury they can expect when they travel with you. 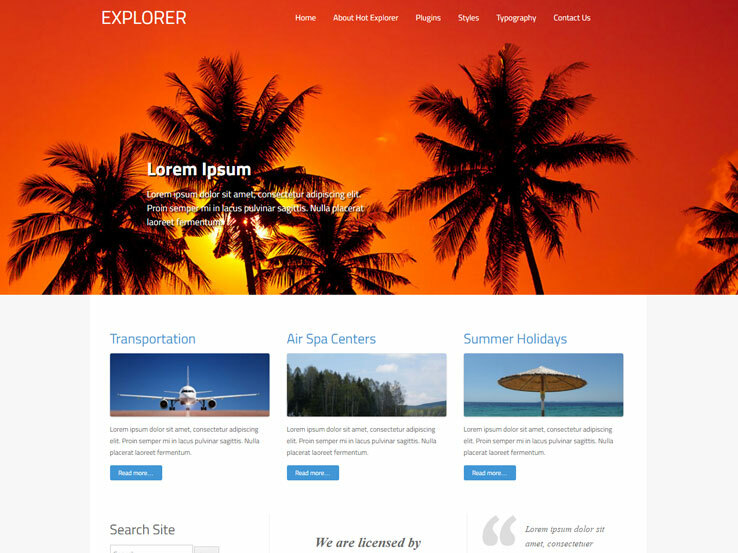 Customers will be wowed from the start if you choose the Hot Explorer theme with its Hot Full Carousel slideshow. This plugin floods the homepage with sharp images of the destinations you offer and text to link to more information. Other plugins, including Hot Lightbox and Hot Effect Rotator, will also help you show visitors the world that is open to them if they choose to travel with you. 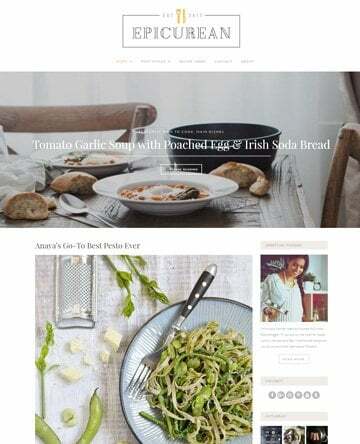 The designers of this theme understand that you may want to add to your site options; it runs in jQuery noConflict mode to enable plugins from other creators without problems. The HotStart installation tool is a simple way to upload all the demo content before customizing to make the site your own. The theme comes with five pre-set styles but you can also choose from an unlimited array of color options by selecting from a color palette or entering hexadecimal identifiers. With the fantastic Sparky Framework Layout Editor, you can rearrange the 15 widget positions and add more if needed. Sparky also provides management of menu options from drop-downs to vertical accordion, to make navigational easy with a chic look. 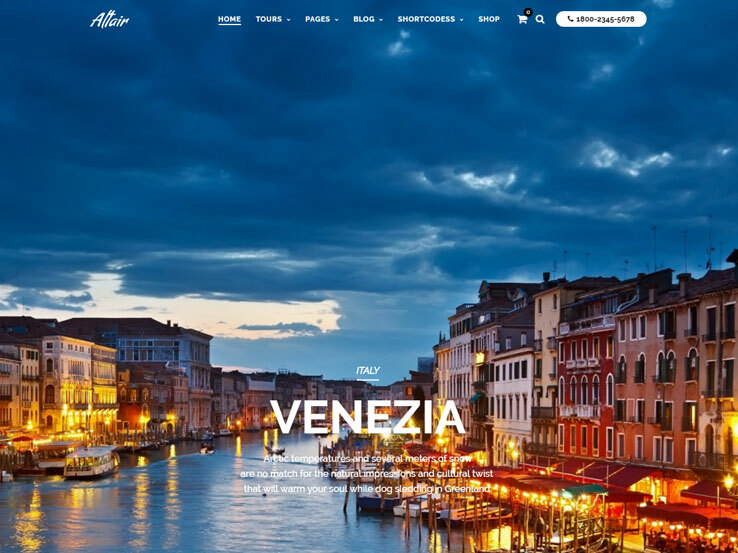 The Altair theme gives you tons of wonderful ways to show off your travel opportunities. Six tour templates with stunning retina-ready photos enable you to pick the look that works best for your company. A standout is the individual tour page with available HD video to really sell the destination. The Advanced Search Option will help your customers find exactly what they’re looking for and, with unlimited tour pages, you can show off every detail without being pressed for space. Online booking and contact forms also mean that transactions will be smooth and painless. For large companies with high volume traffic, the Super Cache plugin is a great way to handle numerous visitors without crashing. Smaller firms can also benefit from the faster load times Super Cache provides. Altair is well documented for all your pressing questions and includes document searching to help you find an answer quickly. If you’re still having problems, highly rated customer support is just a call or email away. Nothing can ruin a trip faster than bad weather. Help your customers stay prepared with Magellan’s one-of-a-kind weather widget. Clients will also appreciate the section for displaying the tour operators with whom you work and the opportunity to learn about who will be taking care of them at every phase of their travels. Tour pages with reviews give satisfied customers the chance to express how much they enjoyed working with you and will reassure new clients of the quality service they’ll receive. If they have further questions, the AJAX Contact Form makes sending messages easy. Keep customers up to date on your latest deals and offers with a newsletter subscribe area and links to all your social media pages. Ample documentation with easy to follow installation instructions, including snapshots of the process, makes setting up a stellar site simple. The Revolution Slider, included free with purchase, can be customized effortlessly to incorporate its fantastic transitions, animations and 3D effects with an intuitive drag and drop editor. You can create a community of explorers with Trendy Travel. The Buddy Press plugin enables you to set up networks with member profiles and messaging; members can even coordinate their travels with Event Calendar Pro. Discussion forums through BBPress allow further communications for tips and suggestions. Customers can also rate the hotel, place, or package they used to make their recommendations and a search bar, filterable by those categories, will let them put those reviews to use. Interacting with you is easy too with social share and bookmark buttons to connect with your social media pages. The Visual Page Builder helps you work with the incredible number of layout possibilities to create a site that will best meet the needs of you and your clients. With the Theme options panel you can choose from color options, manage branding, use Google analytics, and maintain the WooCommerce plugin for easy payments. Trendy Travel comes with regular updates so you will always have access to the newest features as this theme evolves. 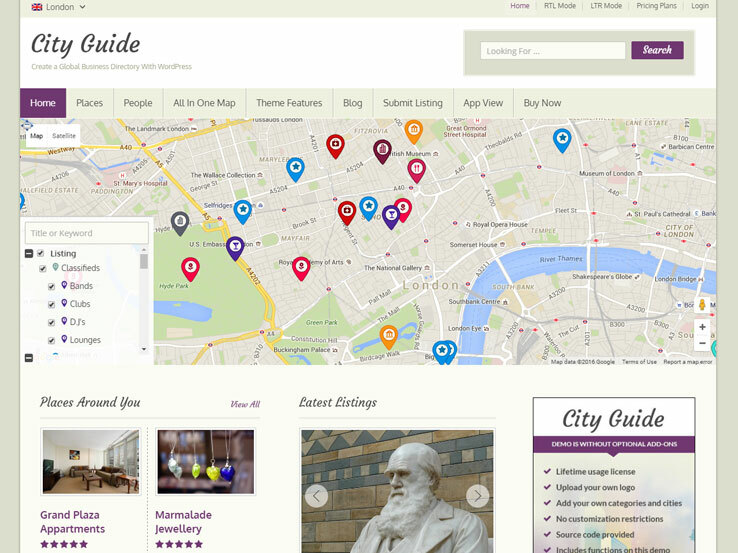 If you choose City Guide, your website will be a one stop shop for visitors with the ability to book everything from hotels, tours, cars, and restaurant reservations all in one place. The Open Table widget enables you to connect with Open Table reservations forms while the eZee Reservation plugin will handle booking accommodations. 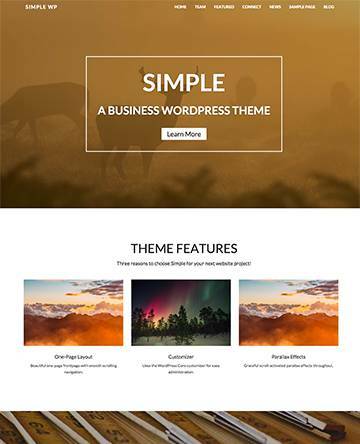 This theme includes the PayPal gateway but it’s also compatible with more than 15 other payment gateways, including WooCommerce. All of your forms will be top notch with options to built them with Contact Form 7, Ninja Forms, or Gravity. City Guide is all about letting you choose what works best for you. This theme is also tailored to help you make the most money possible from your venture. It allows you to easily set up payments for listing venues and attractions on your site with membership packages and recurring payments. You can also sell ad space. For simpler listings management, each user can be assigned administrative privileges with their own separate dashboard. 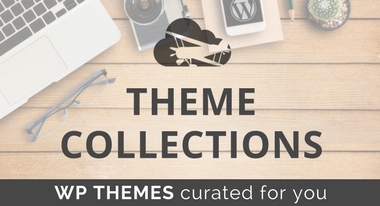 And with more than 75 tutorials for running this theme, including theme and plugin guides, all of your users should be able to make their contributions without any problems. If you’re seeking a more whimsical look for your site, consider Solaris. With the Polaroids gallery option and homepage layout with angle-cut photos your site will signal the fun loving business you are. Drop caps will also give you an extra sense of style. 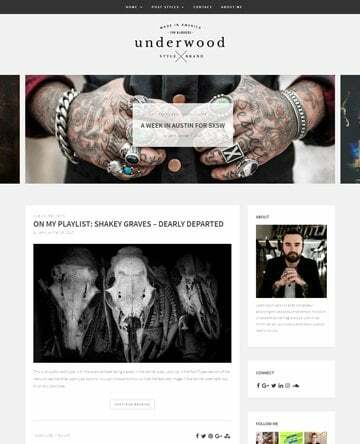 For a more classic appearance, there are gallery options for grid and masonry setups and full screen or boxed homepage alternatives, that will look just as awesome. Managing your selections is easy with fantastic tools like Visual Composer and the Custom Theme Options Panel. This theme comes with shortcodes for sliders, videos, buttons, and more but it also includes a Shortcode Builder to add your own creations. No matter how elegant your site is, it’s only half complete if it doesn’t also look great on mobile devices. Solaris makes this simple with a fully responsive layout whose scrolled sections easily convert to swiping and sliders that are also mobile compatible.